The V&A Museum of Childhood, in Bethnal Green currently has a touring exhibition all about Jacqueline Wilson – and my daughter is a massive fan, having met the author twice now at the Foundling Museum. If you’re thinking ‘Who?’ then you clearly haven’t had a book-reading young girl – with over 100 books published, former Children’s Laureate and now Dame Wilson is best known for her characters Tracy Beaker and Hetty Feather. The day of this visit was just, well, one of those days… the sort of day you get cross with yourself for being so frazzled. I can only blame tiredness – as well as the usual, Museum Dad is travelling abroad with work at the minute, and the toddler’s nursery shut for a couple of days, meaning I’ve been burning the midnight oil trying to keep on top of work. Not the ideal day for a museum visit you might think… but by the end of this trip, I was in a much better frame of mind, having enjoyed the space together *see disclaimer at end*. In our group was myself, the two children, and my friend. I’m not reviewing the whole museum today – I will save that for a future visit where I’m more with it – but as you go through the displays to get to the exhibition, here’s some images of what we did on our way. Looked unimpressed with the horse-riding! 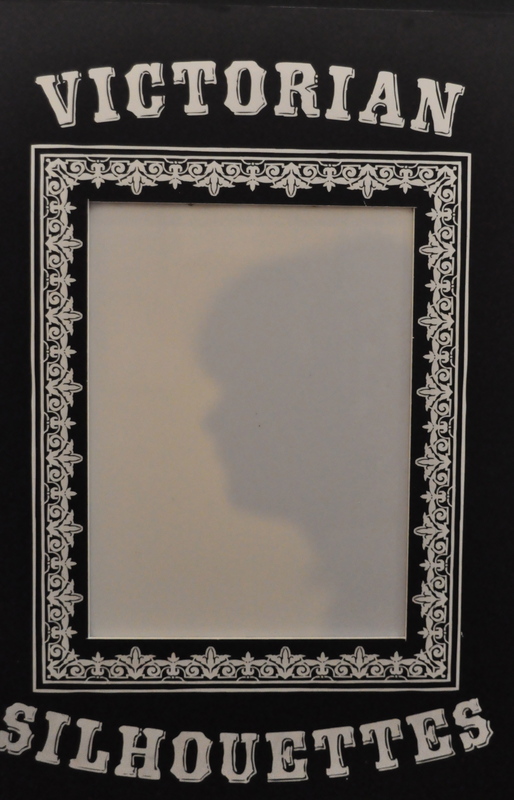 The exhibition, entitled ‘Daydreams and Diaries. 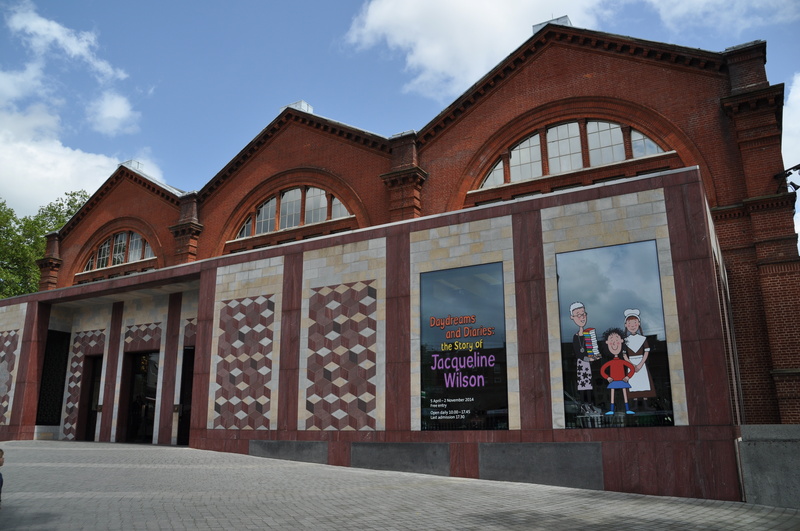 The Story of Jacqueline Wilson’ has its eye-catching entrance on the first floor with a video welcome from the Dame herself. 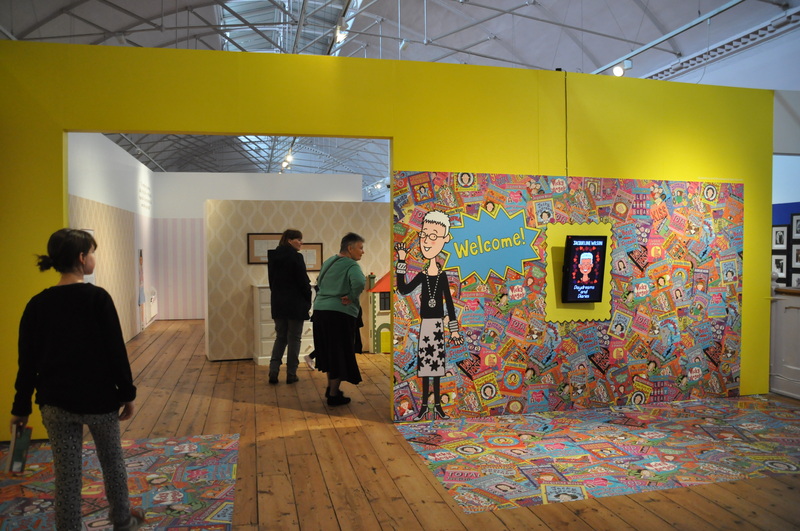 The displays start with a biographical approach, recreating Jacqueline Wilson’s 1950s plain childhood bedroom and using family photographs, dolls and early diaries from her personal collection to tell the author’s early life and inspiration. 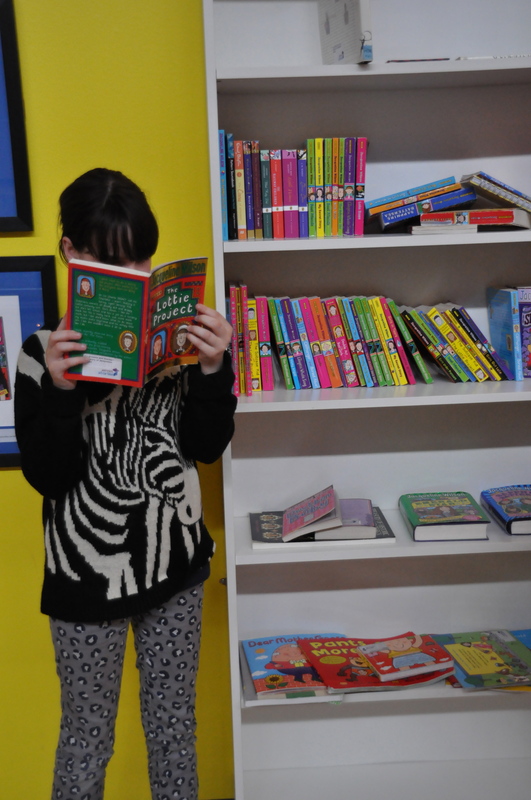 Each of the rooms then focuses on one of her books, including The Story of Tracy Beaker, The Illustrated Mum, The Suitcase Kid and Hetty Feather. These novels touch upon some difficult themes – such as separation, adoption, and being an orphan – but in a very child-sensitive way. A text panel at the start of each room introduces the book and character, meaning even if you haven’t read the book you can still enjoy the exhibition. The space ends with a recreation of Wilson’s study where she now writes – with books piled everywhere, a chaise lounge and the walls covered with very personal, and at times poignant, letters from her many fans. A variety of fun activities – from dressing up to drawing – are spread throughout the space, and are cleverly linked to the themes of the books. For example, The Suitcase Kid is a book about a child whose life is split between the two homes of her separated parents – and there are two dolls houses side by side for you to share the furniture and dolls between. 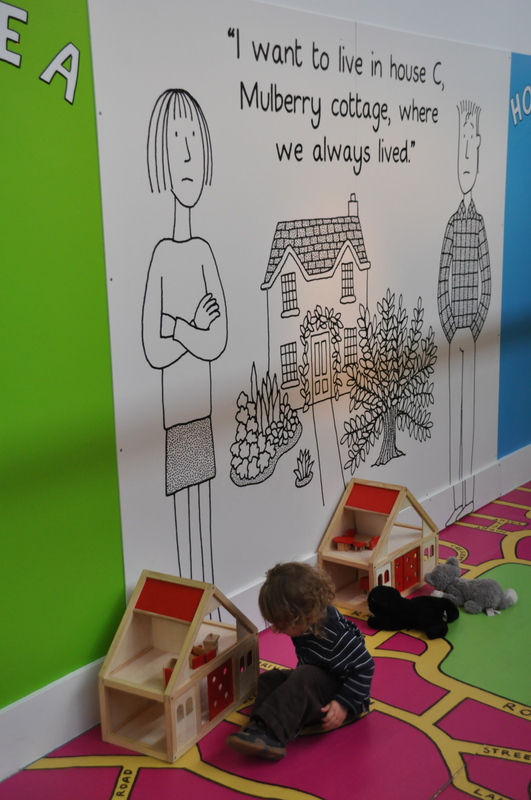 A real treat is seeing the original line drawings of Nick Sharratt – which you can’t photograph – and the exhibition explores their on-going professional relationship. I was pleasantly surprised about how much of the fun design appealed to my toddler – the childhood bedroom in particular was very interactive, complete with bed, giant doll’s house doorway and a large magnetic dress up doll. 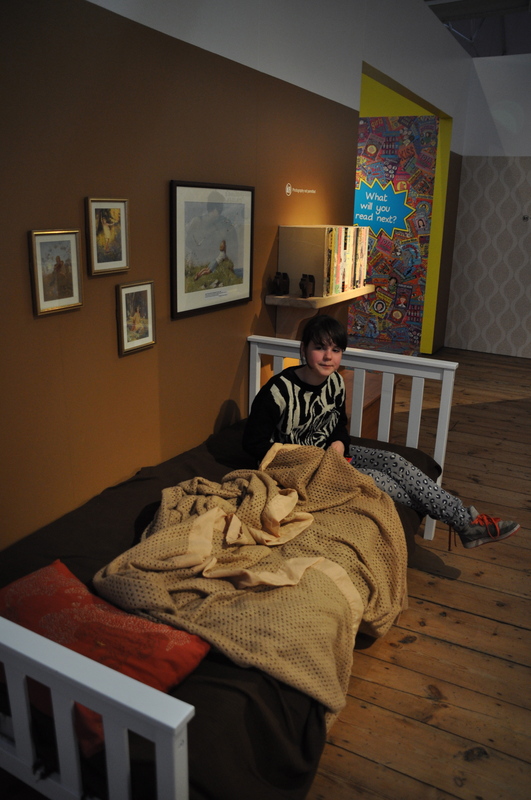 A bed in an exhibition? Perfect for the tweenager! What did the 11 year old make of it? She did enjoy it, but said it was not quite as good as she thought it would be. 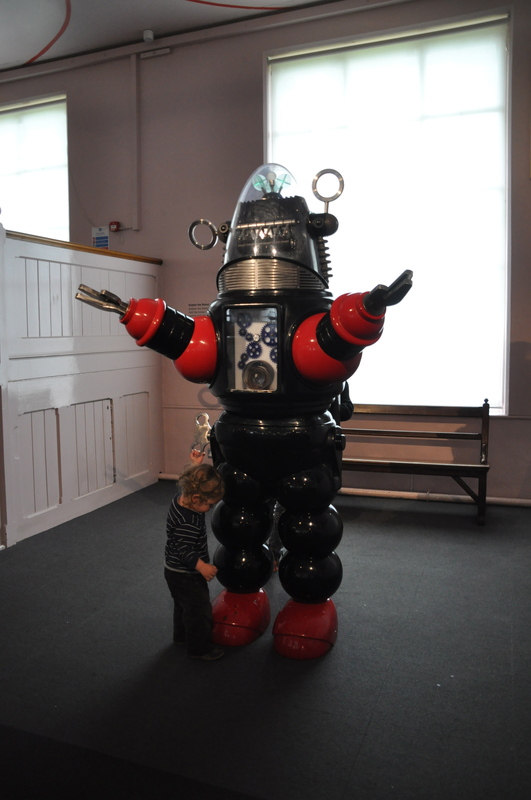 I think that’s because it’s more suitable for a younger audience, particularly the interactives – I’d say aged 6-10. Her favourite part was the help yourself library outside -she promptly borrowed a book and buried herself in it for most of the rest of the visit. I had to remind her to return it before we left! After the requisite trip to the sand pit, rain called off our planned outside picnic. Instead we bundled down to the picnic space in the basement, which was suprisingly light – and empty! With a hot drink from the cafe, we nibbled and chatted / read / threw loads of stuff on the floor (I won’t tell you who did what!) and generally just chilled out. We’ll definitely be back for a fuller review of the museum in the not-too-distant future. ** Disclaimer: The museum trip was not completely restorative. I can now certify that if you’re going to leave your keys and wallet any where, the Museum of Childhood is a pretty good place! Thanks to whoever handed them in, and security for looking after them *sigh*. Buggy accessible? : Yes – level entrance and lift to all floors. But be warned – the lift is slow! You’re better off leaving it in the buggy park at the front entrance and using the stairs. Make sure you take your valuables – pickpockets do operate in the area. Baby changing: Yes, in both toilets in the basement. There is a long metal bench with a wooden edge to stop the child rolling off. Not entirely sure about the communal changing – especially as there are no straps. Breastfeeding friendly? : I’m sure I’ve fed in the cafe and galleries here before, plus there is the picnic space too. Toddler time from gallery to toilets: From the exhibition space to the loos in the basement I’d leave a good couple of minutes or so and avoid the lifts! Nearest playground: There is some green space around the museum, and next door in Museum Gardens. For a playground proper I’d recommend the 15 minute walk to Victoria Park which has two brilliant playgrounds – the V&A Playground in the West park and the Pools Playground in the East park. 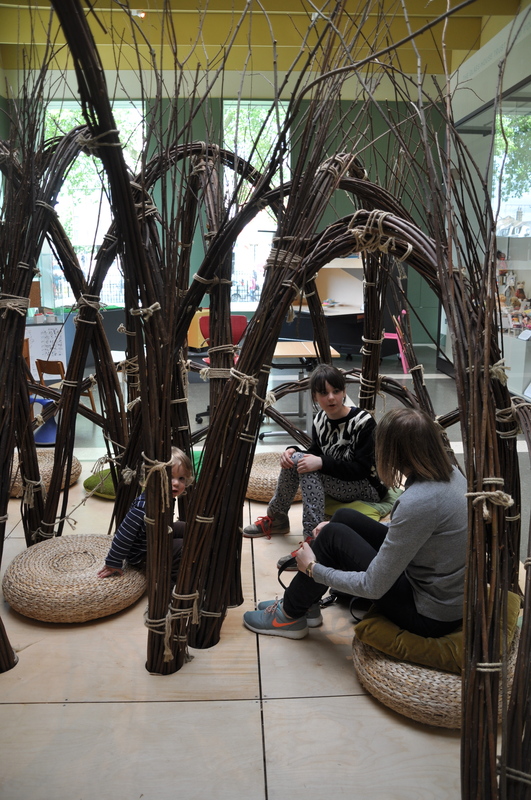 Food: The Museum has its own decent cafe, run by Benugo, or there is indoor picnic space in the basement. Want to make more of a day of it? : Hackney City Farm is a 15 minute walk away, or walk 20 minutes up to Brick Lane, especially on a Sunday for markets, bagels, Spitalfields City Farm or even bowling at All Star Lanes. 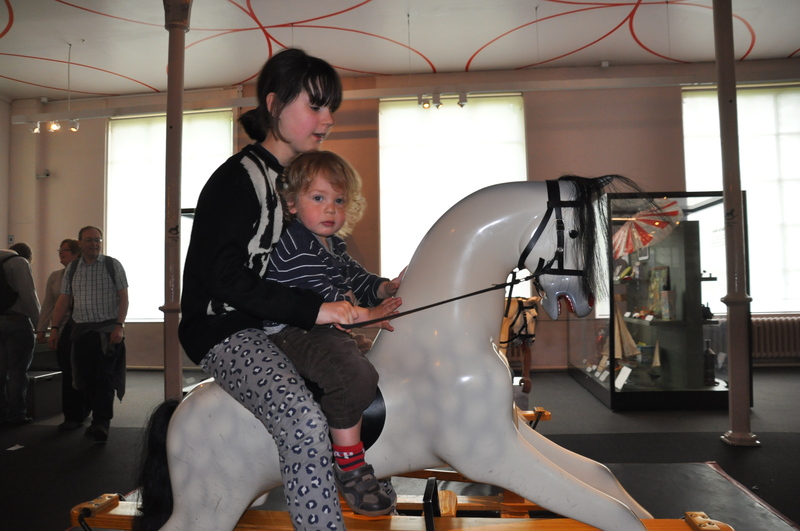 Previous Post FREE half-term family fun in London museums! I particularly like the additional information – very handy! 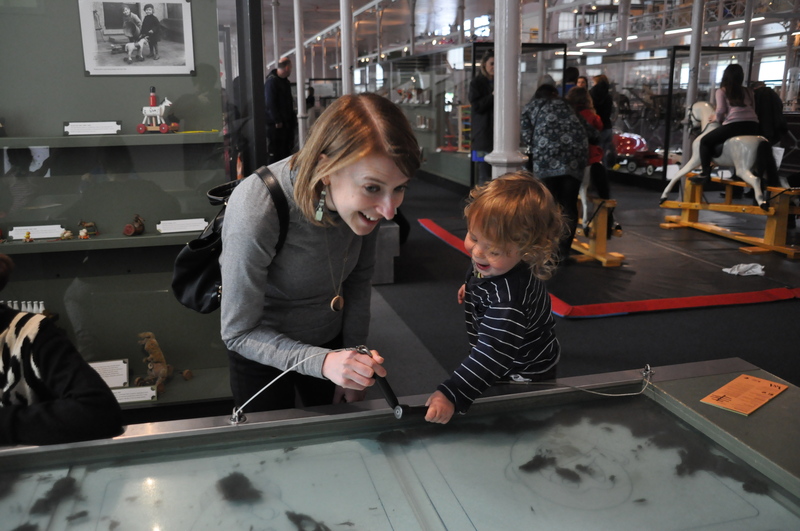 Thanks – let me know if there’s anything else you’d like to know about when planning a museum trip!